Before any great success is a great foundation. Whether you’re an aspiring franchisee looking for a franchise business or a business owner running a successful business and planning to expand it exponentially, you have to start with the right franchise education and be exposed to learn from the top franchise opportunities in the country today. This seminar is for business owners who have existing successful businesses whose goal is to grow their branches from one to many. 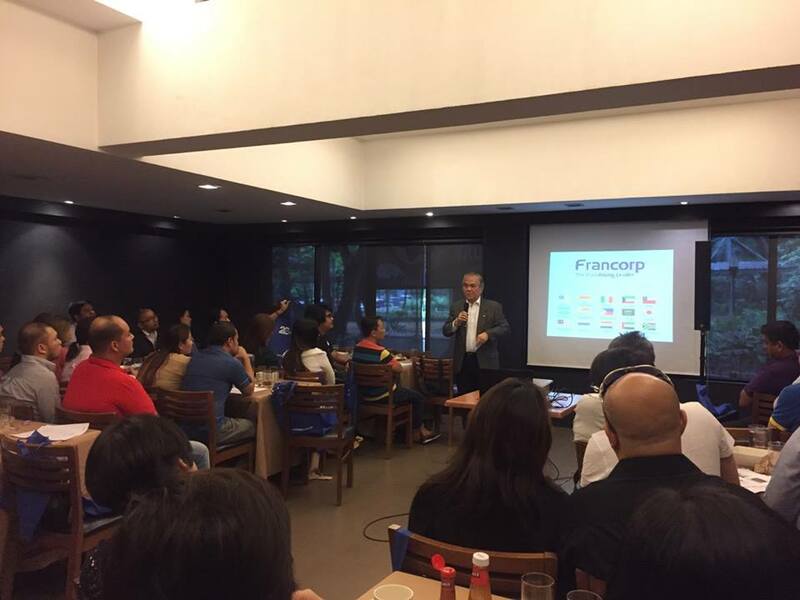 Learn more about the franchise advantage for businesses through renowned Certified Franchise Executives in the country. This seminar is for individuals aspiring to have their own franchise business. Learn tips in finding the right franchise, the dos and don’ts in franchising and discover the top franchise opportunities that will fit your personality, location and of course, your budget. Come visit a mini franchise expo highlighting over 30+ franchise brands from the food, retail, service and education industry. Have the opportunity to discover these brands personally and discover their distinct franchise offers. How to Franchise Your Business and Invest in the Right Franchise seminars will also be held in these roadshows. 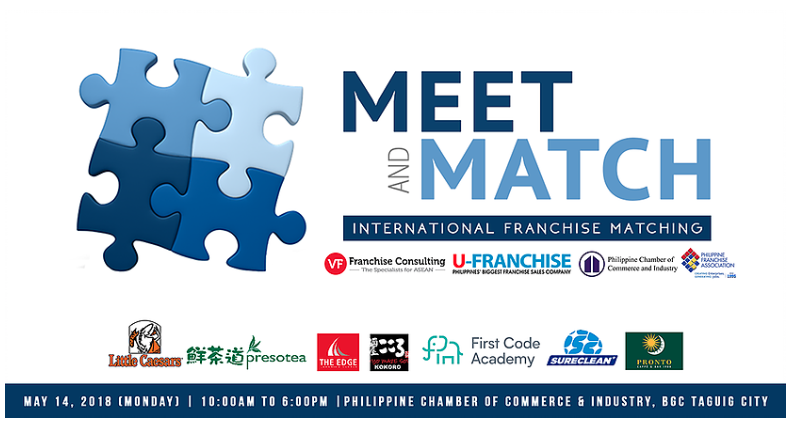 These business matching sessions showcase top global brands seeking master franchisees in the Philippines. If you’re an upscale business owner planning to diversify or a sole proprietor with enough capability to run an international brand locally, this is the right venue for you. Meet global F&B, retail, service, education and more brands in an exclusive, one-on-one business matching session. Click here to reserve. Each participant gets a one-hour slot with brand representatives. It’s the biggest franchise show in Asia, showcasing top local and international franchise brands including world-class conferences and seminars led by prominent global experts in the industry. For anyone who’s interested in franchising, this show is a one-stop-shop for all your franchise needs. Invest in the Right Franchise – U-Franchise Sales & Management Inc.